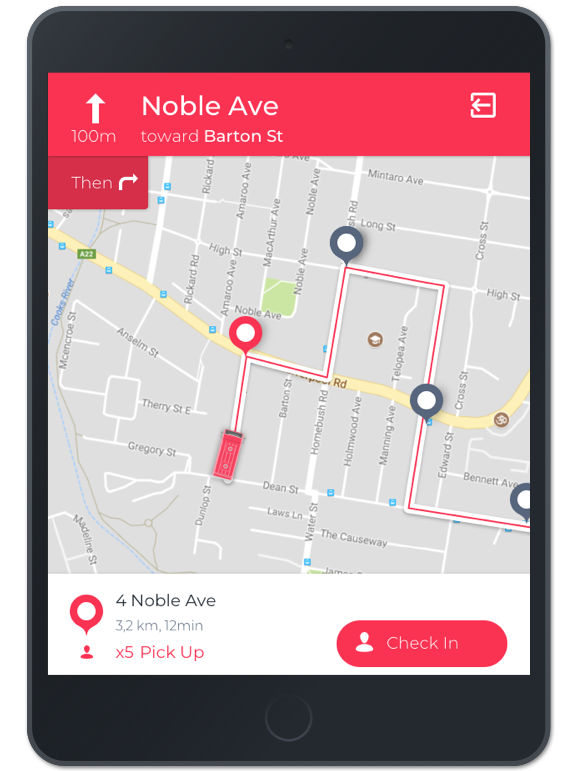 Niftie is an Australian ride-sharing company that connects travelers with coach drivers to facilitate a comfortable city commute. The service caters to passengers that expect to get a guaranteed and timely ride to their destinations regardless of public transportation overload. While the initial business model entailed commute to events – such as concerts, football matches, and festivals – the client decided to expand for all types of daily commutes. 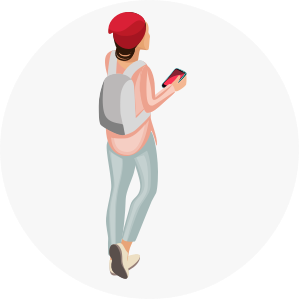 Thanks to the mobile app – which is the main connection point between drivers and commuters – people can pay up front and track their bus online. AltexSoft UX team considered the new business model and fully designed new applications, covering iOS and Android platforms. Niftie was planning to expand beyond sports and events travel. But the old Niftie app wasn’t meeting modern mobile standards. It was also limited in terms of functionality. For instance, the existing system allowed for commuting only between the very departure and very end points of the route without any intermediary stops. Besides that, the app had an outdated interface and poor performance. 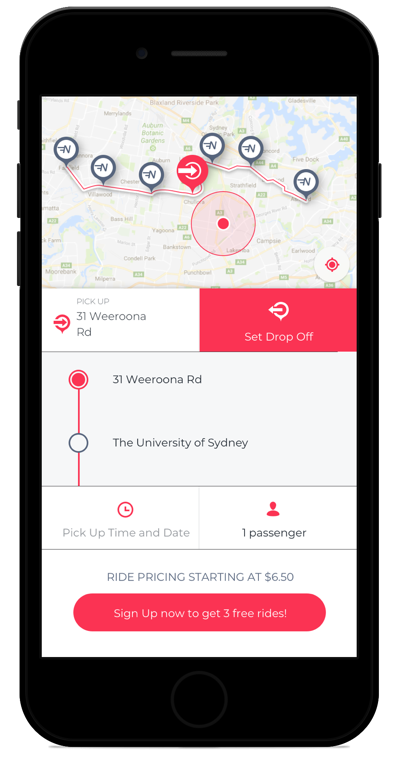 Commuters use the app to choose the ride, purchase tickets, set pickup and drop-off, register for the ride, and receive boarding pin codes that they enter on the driver’s tablet. 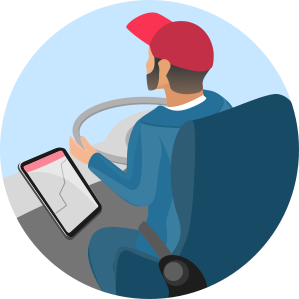 Each driver has a tablet with an app to track their route, see registered commuters for the ride, and allow travelers to сheck in using their individual pin codes. The initial stage of UX design workflow entailed deep analysis of client’s expected business model and traveler app flows. As Niftie was planning to expand user coverage beyond events and also market their app as a white label product, our design team focused on the research phase to align user experience. 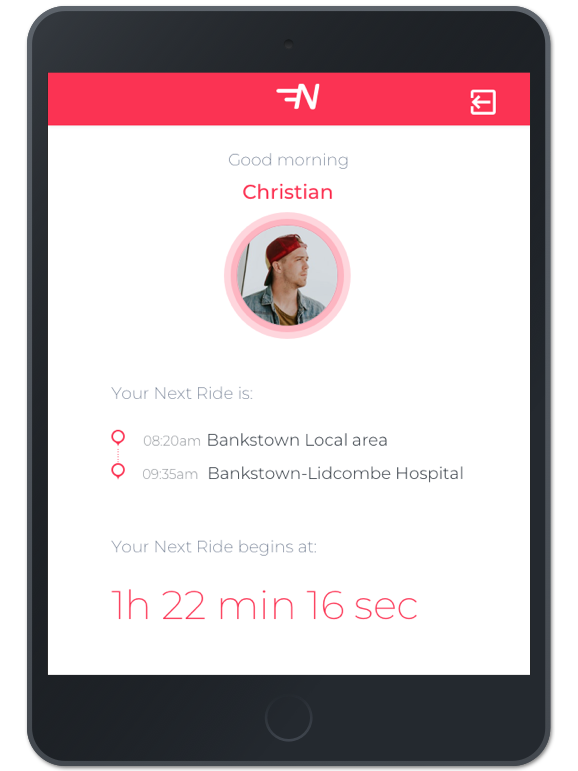 Usual rider experience consists of three main elements: choosing a destination and time, booking a ride, and drop off with the optional opportunity of rating the driver. Bus transportation, unlike taxi, has some restrictions, namely the need to account for timeframes and set routes. Another point of the research considered different user flows depending on whether a commuter has used the app before or they launched it for the first time. 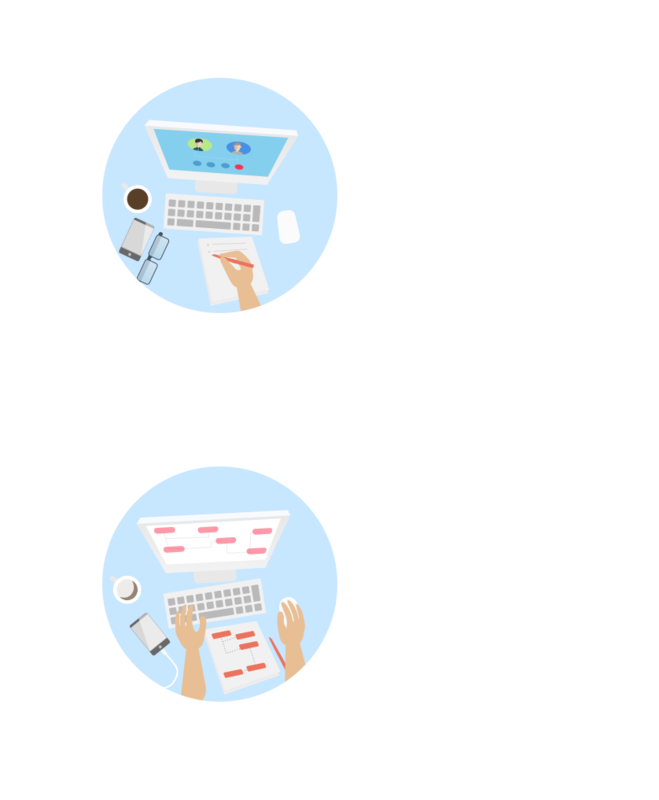 The AltexSoft UX team designed two main user flows. New user flow. A rider goes through brief onboarding and receives three free rides that can be redeemed after login to complete a booking. This allows travelers to get better acquainted with the service. Main user flow. A rider can skip multiple steps and directly book a ride choosing from previous ones. Once free rides are used, a commuter can purchase ticket packages. Because the old application is focused on events travel, route options are limited. 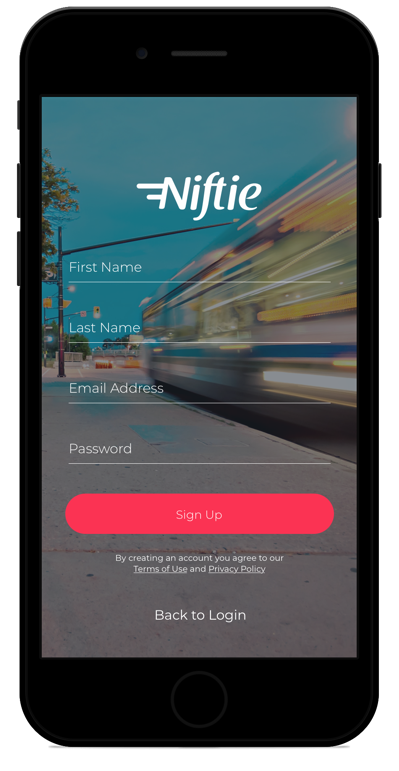 As Niftie aims to expand, our team had to rethink the ways passengers will be interacting with the app and introduce new features that include a wide variety of available routes for new commuters and a convenient workflow for existing ones. Informative onboarding. To start using the app, commuters don’t have to register right after the splash screen. They can explore all available routes and are only required to sign up prior to booking. Instant booking from favorite routes. Existing users can set favorite routes and book the ride bypassing all setup (routes and scheduling) stages instantly. Setting intermediary pickup and drop-off points. The old Niftie app allowed travelers to ride only from the very start to the very end of the route. The new design offers multiple intermediary points to choose from. The project goal was to lay groundwork for further growth and white label distribution. We introduced two new features that bring flexibility to the app and make it more attractive for local organizations that may consider using it as a white label product. Flexible pick up. 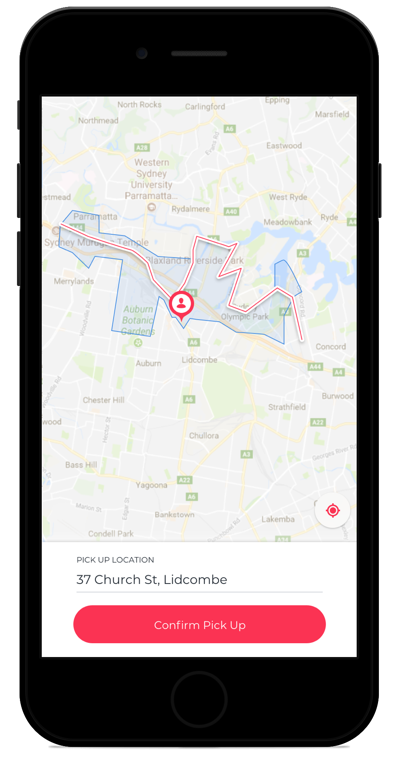 A flexible pickup feature allows commuters to request a pickup from points close to the main route locations, which is more convenient than requiring commuters to wait at predefined locations only. Ticket packages. 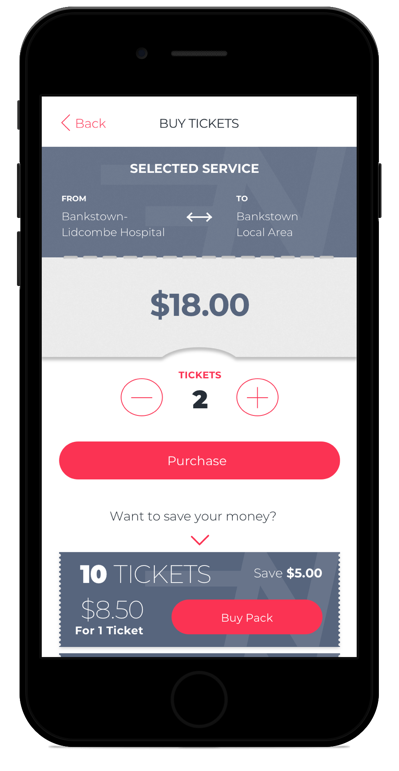 Getting discounts for purchasing multiple tickets at once is a common practice at transport organizations, so it was included in the app as an additional option. The app for drivers is expected to be used on tablets mounted in buses. 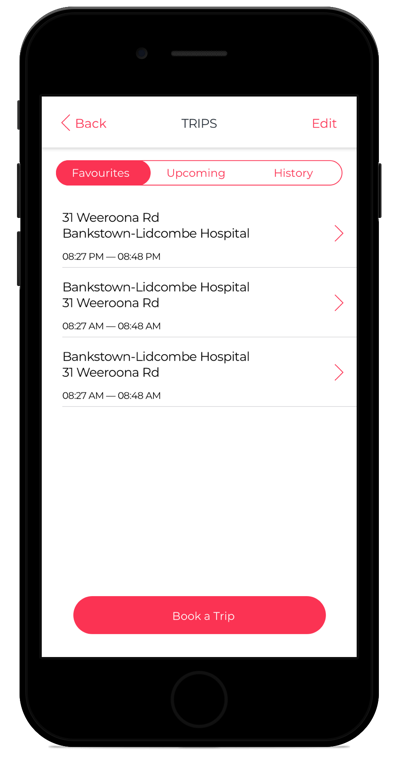 As commuters must confirm their pickup by entering their pin, the driver app is to be used both by driver and customer. Drivers will use the app mainly for navigation and commuter tracking. Our main goal in designing the flow in the driver app is to make it as clear, functional, and uncomplicated as possible. As a result, it has only four main actions. The goal of the driver app is to reduce the effort that drivers must put into manipulating the app. Basically, the only action the drivers must complete manually is logging in. 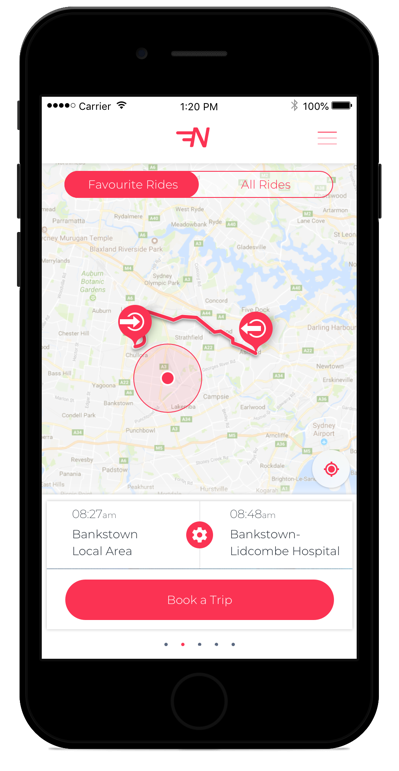 The app is expected to automatically navigate a driver, while passengers must check themselves in, allowing drivers to focus on their main duty. Personal driver accounts with routing and timing. Each driver has their own account. This is where they receive route info and navigate through each stop on the way. Self-service commuter check-in. 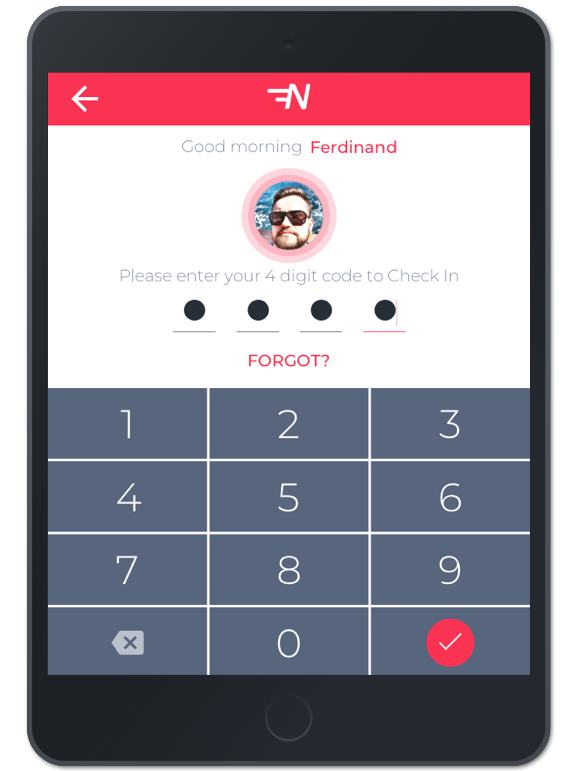 To streamline passenger check-in, the interface suggests commuters find their name among registered passengers, then check in with their pin code. Our team has also designed a simple landing page that can be used by local travel organizations that will apply and customize the system. This is a single page prototype that contains all necessary information about available routes, rates, and applications that users should download. The design includes both desktop and mobile versions. UX/UI consulting and design works were handled by two dedicated UX specialists, covering mobile iOS and Android platforms, and a web landing page. The overall mobile UX development took 120-man hours. iOS and Android user coverage. Clickable prototypes for mobile have both iOS and Android versions that are adjusted to design guidelines for their respective platforms. Driver app for tablets. The app for drivers streamlines the passenger boarding procedure and provides straightforward navigation support. White label distribution-ready landing page. 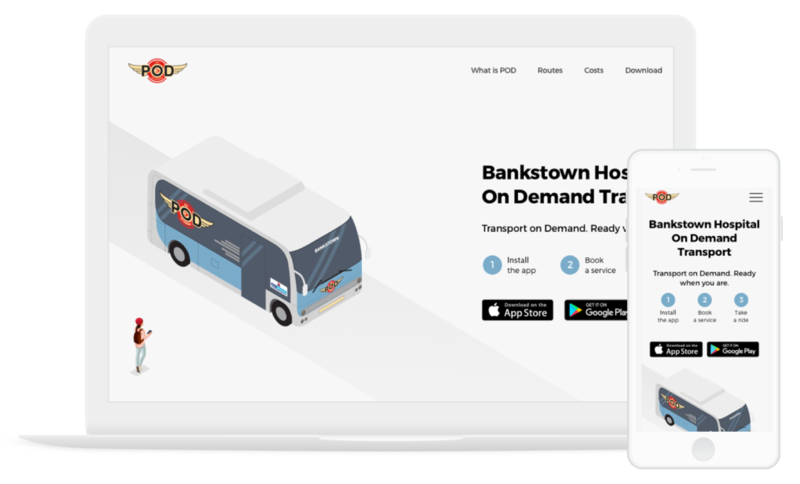 The landing page design discovers main app features and allows transportation businesses to embark on the app use right away.